Game 9 of the season was against a Western Wildcats team who were out for revenge after being knocked out of the cup by the 'Burne' boys the previous week. The return of Craig Morton from a minor injury helped tighten things up at the back for a team looking for another clean sheet. The game was slow to begin with both teams trying to get used to a very heavily watered pitch due to the morning of rain. Once the team got going there were some very good passages of play down both flanks. Kelburne?s first goal came from corner expert Josh Cairns, a fantastic drag flick proved unstoppable and this seemed to settle the nerves after a slow start. The second goal again came from some very smart play by the Kelburne forwards who inside a very packed Wildcats ?D? managed to find a foot and win a corner. Cairns again stepping up and bagging his second of the game. The Kelburne forwards were forcing the wildcats defence into making some desperate passes forward which were easily picked off by the burne Midfield and defence. The midfield started to dictate play at this point and Western were never going to get anything form the game. Goal 3 and 4 came again from corners, both well finished by Josh Cairns, one of which hit ex Kelburne man Fab Goldie on the line but was far too powerful for to do anything but defect it in. Under constant pressure the wildcats couldn?t get going and really struggled to keep up with the off ball running form all the Kelburne team. Again the 'Burne" won another corner, this time a well worked routine was finished off by Jack McKenzie who has started to find the route to goal now. Goal 6 was from the spot, a great penalty from captain Jonny Christie was placed in the top right corner. The skipper done well to finish with his limited vision from the rain soaked glasses but the skipper showed a true finisher can score in any condition. Goal 7 was again a corner that was fired home by Josh Cairns. Josh finishing with 5 goals to his name and gaining him man of the match. The Kelburne boys seen out the remainder of the game with only 1 real goal threat that was well saved by the Kelburne defence twice before being cleared resulting in keeper Ben Rennie having quite a boring day. This victory has opened up a gap at the top and the team will look to widen that gap next weekend against Uddingston H.C.
Kelburne enjoyed an evening of success at the Renfrewshire Community Sports Awards, held at the Johnstone Town Hall on Friday night. At a glamorous event, hosted by BBC journalist Alison Walker, which included a Q & A with Glasgow 2014 Chairman Michael Cavanagh, Renfrewshire recognised the efforts of a number of volunteers, coaches, officials and clubs in promoting and delivering sport at both grass roots and elite level. The first category the club was recognised in was the technical official of the year award with club stalwart Barbara Morgan picking up well deserved recognition. Barbara has been a key member of the club for more years than even she would care to remember and continues to umpire for the club as well as working hard to develop new umpires within the club. Barbara also represents the club at international level where as an FIH technical official she travels the world officiating at various top level events. Next up, were the Bromac Men's 1st XI in the team of the year category. In a tough category, the team were successful and the award is recognition of the clubs outstanding level of consistent success over the last 11 years. Chris Nelson, collecting the award on behalf of the team, highlighted that the success has been built on the hard work and dedication of coaches, managers, parents, volunteers as well as the players from all areas of the club over the time period who have all worked together to bring success to the club. Finally in another hotly contested category, Rachael Ewing-Day was nominated for Community Coach of the Year. This award recognising commitment to coaching of young players. Much to her surprise, Rachael was successful in winning the award and again this is a fitting tribute to the work Rachael has put in over an extended period of time but in particular her efforts over the last 12 months, where she has refreshed the jockey coaching set up to take a holistic approach to player development. Numbers within the youth section continues to grow and Rachael has also recruited and supported a team of coaches to deliver the club's vision. Special mention to Ellie Halliday, who was also nominated for the young sports personality of the year, however she was pipped to the award by a truly deserving winner. The nomination a true reflection of Ellie's continued progress with the Ladies 1s. Fantastic to see all of these awards for the club and to see the club getting some well deserved recognition from the local community, congratulations to all involved. Jockey hockey is moving back to Pro-Life Fitness Centre this Saturday morning. 9.45-11am. Please be there ready to go for 9.45am as the groups will have to be arranged. Looking forward to some great hockey and a massive thank you to Pro-Life Fitness Centre for their continued support. Kelburne Q Bikes mens 2nd XI back on track with win at western. After a disappointing result last weekend, the kelburne 2s were looking to make amends with a win against western 2s. The first half was relatively uneventful with western having the majority of possession putting kelburne under early pressure. This pressure was soaked however with both teams squandering a couple of chances. A rather tame effort by the Burne, not playing to standard and with perhaps fatigue from Saturday?s cup draw. The second started much the same and western managed to nick the first goal of the match with a rocket of a reverse, tough for keeper Fergus Barrows to keep out. With western taking the lead, Kelburne soon realised an urgent reply was needed, kicking it up a gear and playing some of the hockey Kelburne is known to play. Passing interplay cut the young western team apart and led to the equaliser with Captain Andy Bremner tapping in whilst on the floor. Once on top, the boys never looked back and scored 2 in quick succession through the short corner expertise of Mark Ralph, including a sublime reverse stick smash. Discipline was a slight hindrance with both Miles Goldie and Ewan Carmichael receiving cards for hitting the ball away. Despite the man disadvantage, the Kelburne defence stood strong and JG Shepherd scored a late deflection to finish the game off. It was a slow start by Kelburne's strikers with the majority of the play dictated by the boys in yellow. Mid way through the first half came the brake though from Lee Morton slamming a reverse stick shot into the sideboard creating the 1-0 lead. More pressure from the strikers created opportunities in the D resulting in a corner which was put away by Josh Cairns. A few lapses in concentration in the back line created some opportunities for Hillhead to win a couple of corners but they were unable to convert. Kelburne moved into the second half with a higher tempo but was cut short when Hillhead converted a corner though some confusion in the Kelburne corner defence. Kelburne soon replied when Josh Cairns sent a ball from full back to John Christie inside the circle who stunningly one timed it high into the net. From then on Kelburne started to run over Hillhead with a goal from Gary Maitles off another corner and Lee Morton sealed the deal by slapping the ball into an open goal ending the game 5-1 and moving to top of the table. Kelburne Ladies 3's v Greenock Morton - Saturday 31stOctober 2015. Kelburne Ladies 3's travelled to Inverclyde National Sports Centre on Saturday to face Greenock Morton the league. With a full squad of 16 and a rowdy crowd the young squad was set to make their presence felt. The sun shone as the young squad commanded the possession and claimed three short corners and a number of shots on goal with the first ten minutes. The Greenock side played with a kicking back but it was until the 15th minute that the scoring was opened. Emma Ryan blasting home a short corner strike. All strikers did well up front to keep claiming short corners and the second goal quickly follow when Lora Caven struck from a slip at the corner. Within 5 minutes the Kelburne side had increased this lead again curtesy of Lucy Bliss who's run into the circle and strike was clinical. At half-time the score was 0-3. The start of the second half saw Kelburne Ladies command possession once again with some lovely attacks down both flanks curtesy of Neave Halliday and Joy Fraser. Laura Aiken was extremely lively up front and within 2 minutes and as a result of excellent forwards leading players away, Rachael Ewing-Day added to the tally after a solo run resulted in a strike past the defenceless kicking back. Jenny Gow in only her second game for the Ladies squad along with Ambar Hendry and Holly Hendry worked very hard closing down space in attack. It was Eliza Caven that was next on the scoresheet when she deflected a through ball from Lora Caven into the goal for her very first senior hockey goal. Ewing-Day converted the next, a reverse stick sweep to make the tally 6 before another youngster got on the scoresheet. Ambar Hendry, still full of running, completed a right sided attack with an early shot from the top of the circle also claiming her first senior hockey goal. Unfortunately with 5 minutes remaining Greenock broke and called Abbie Houston into action. The initial strike was saved by Houston however the following was pushed beyond the keeper for Lora Caven to instinctively save with her feet. The Greenock side converted the stroke that was awarded, making the game finish 1-7 to Kelburne. Next week the young squad are away to Ferguslie Ladies at Linwood for the Paisley Derby. The young 5th eleven took to the field against a much more experienced Clydesdale 4s and started very much on the back foot with Clydesdale having the majority of the play. Unfortunately this lead to an early goal when a Clydesdale player tapped the ball home at the far post with nothing young keeper Matthew Retson could do. With the experienced Alan Ralph working hard in midfield the young 5s began to settle down and play some better hockey. They managed to win a short corner off a Clydesdale foot and from this young Finn Halliday fired a shot just wide of the post. Over the lat 10 minutes of the half both keepers were called upon to make saves but there was no more scoring. The second half started with both teams pushing for the decisive next goal. Unfortunately it came for Clydesdale when 2 of their players found themselves in front of the Kelburne goal with only the keeper to beat. Matthew was again helpless to stop the second goal. This spurred on Kelburne with Alan Ralph and Lucas Farndale working hard to get the youngsters back in the game. Gary Brolly and Allan McNicoll were working hard on the right hand side of the pitch winning the ball and pushing forward. The chances began to come more frequently for Kelburne and finally, after the keeper had made an initial save, the ball fell to 11 year old Jay Berry who fired home. The last 10 minutes were all Kelburne but they could not find a way to score with the keeper pulling off saves from Craig Speirs and Finn Halliday. Tough shift today versus Grange 5?s in Edinburgh. The game ended 7-1 with youngster John Miller scoring a fine opportunist goal for Kelburne. Prolife Kelburne Ladies 2s took to the field with the bare minimum of 11 players this weekend, struggling to get a full squad due to it being the October Holiday. Pulling up some of the more experiences 3rd Xl players allowed the game to go ahead. The first half was well fought by the Kelburne side using the experience and youth in the team to create some great chances in the oppositions half. Rachel Ewing-Day took control in the middle of the field and played some great outlet balls to the wings for Olivia Saddler and Fiona McGowan to push forward toward the ?D?. Unfortunately the Ayr Ladies were able to turn over the ball and put pressure on the Kelburne defence. This was easily soaked up by the back 4 (Sarah Mchard, Catherine McLaughlan, Jen Morgan© and Ellie Houston) who were able to keep composed, regain possession and pass the ball out to the wings. In the last 10 minutes of the first half the Kelburne Ladies managed to get some penetrating passes into the ?D? looking for a touch by the forwards towards goal unfortunately even with some superb diving from Fiona McGowan at the back post they were unable to convert these into goals. With some advice form coach Gavin Bantges at half time and a few changes to positions the Kelburne Ladies were ready to fight for the 3 points in the 2nd half. The pressure was on from the Ayr pass back and called Kelburne keeper Elaine Torry (ET) into action making a great save and clearing the ball out to the side line. Regaining possession Kelburne pushed down the right wing with some great play between Rachel Bannatyne and Maryka Cain looking to get into the ?D? and create a scoring opportunity with Sophie Haesler-Pearce on the back post. Again Ayr pushed through the middle and were able to win a short corner in the Kelburne ?D? with ET taking control on the goal line Ayr were unable to capitalise and Jen Morgan was able to take the ball on the volley out of the ?D? and pass it up the pitch. With this boost Rachel Ewing-Day got the ball in midfield and went route 1 into the ?D? taking on 3 players she managed to find a gap on the keepers left side and slid the ball past the keeper and into the back of the net. Now the Kelburne Ladies had to keep their composure and defend the 1 ? 0 lead. All players worked very hard in the last 15 minutes to try and keep possession and to deny Ayr the opportunity to get back into the game. Thanks to Ian Wilson for giving up his time to umpire and Gavin Bantage for coaching. 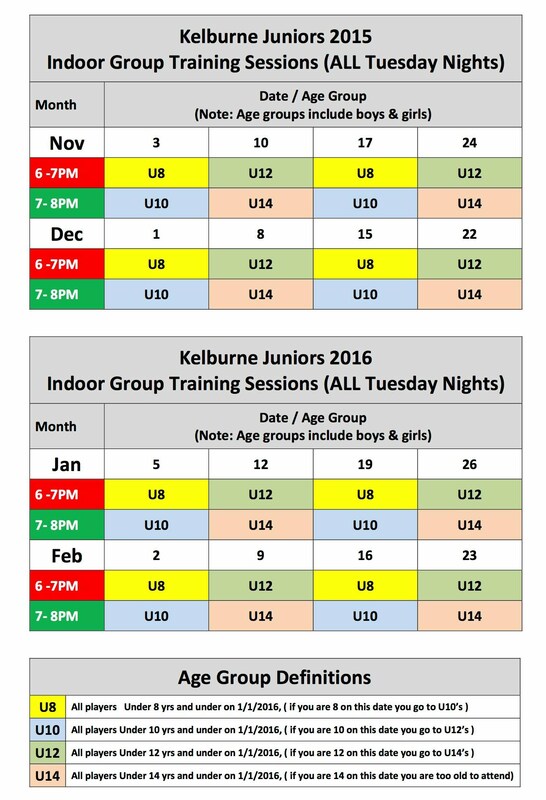 Indoor training sessions for the juniors start next week at the Lagoon Leisure Centre. Sessions will take place on a Tuesday night. Please look at the timetable closely to get the appropriate times. As with last year we will be splitting the groups by age with each session available on a rotational basis. Please note: The outdoor session at St Columba's has now finished. A game that turned out to be one of the proverbial ?game of two halves? for the young 3s Development Squad, it ended with a zero-point haul due to a lack of a disciplined team structure in the 2nd half period. The first half started brightly for the young team with a couple of penalty corners awarded due to the pressing game of our team, pushing hard on the Dale defence in the right places resulting in the ball steals and penatly corner outcomes, unfortunately to no avail. The Kelburne defence, marshalled by Fowler & Morgan, was also playing high and playing well, negating any Dale advances and giving the midfield more chances to use the ball in the opposition half. This resulted in more opportunities for Kelburne however 4 missed short corners, a missed Anderson half-chance snapshot and some nice Niall and Johnny inter play resulting in chances inside the D but ultimately missed opportunities, meant that the first half would remain goalless. The second half started much the same as the first and Kelburne were given a short-corner from an umpire mistake when she thought the ball had hit a Dale foot when the tackle was good. The Kelburne team took no time in setting it up, with an Anderson injection, a Bone stop and a Flower bullet drag flick in to the top right corner. Straight after that another ball broke loose in the D to Rory who cracked a great reverse stick shot which deflected past the post from a defender for a long corner. Things were looking up for the young Kelburne team. The resulting long corner was almost converted by Anderson senior but his reverse stick shot slipped past the post. As the 2nd half wore on, a midfield switch due to injury (Bone achiilles) left Magee as main playmaker but with changes made by the Dale midfield, the Kelburne team came under increasing pressure and they came back in to the game with an equaliser with 25 minutes left to play. The Kelburne team didn?t heed the warnings through the 2nd half and turnover after turnover by the Dale team resulted on them getting more ball-time in midfield and opportunities to be more incisive in attack. This resulted in a 2nd then a 3rd goal to give them a massive advantage and a final 3-1 victory. The physical effort from the Kelburne young team was immense through the whole but the team positions and structure broke apart in the 2nd half and with more ball turnovers than necessary, resulting in the pressure and loss of 3 goals. More to work on for our next game against Irvine (away) in Sunny Saltcoats on Saturday but progress continues. Coming from a great result and performance last weekend beating wanderers and grange, Kelburne came into this game looking to keep the momentum going. With the uni currently looking to make the playoffs kelburne didn't take the game lightly. As usual the game started with kelburne dominating possession. After some nice play down the right by Michael Christie and Craig Morton kelburne won a short corner which was fired past the helpless uni keeper by corner specialist josh cairns. The rest of the half was not as smooth as the burne would have liked with uni having a bit more possession in the game but the best chances fell to Lee Morton, Ross McIntyre and Jack Mckenzie for kelburne. After the half time break normality ensued with kelburne regaining control of the game and keeping the ball. This was disrupted with Chris Nelson picking up a green, yellow and big fine for some physical challenges. Kelburne saw out the period when they were down to 10 players well and after winning a couple of short corners, that man cairns stepped up to finish the game off as a contest. Not the most fluid game kelburne has played going forward but another clean sheet for the kelburne back line leaving the kangaroo goalkeeper Ben Rennie with very little to do. All in all a nice win and 3 points with a big double header next weekend. 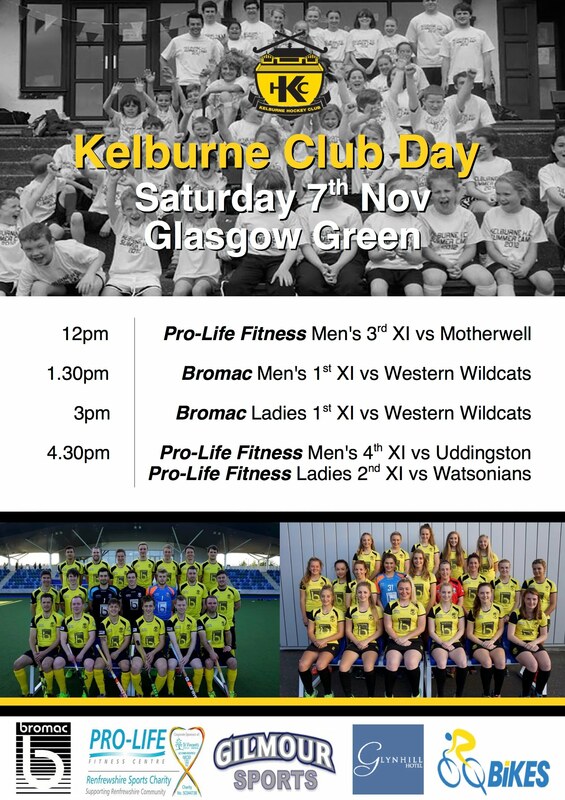 Looking ahead to next weekend kelburne have a big derby game against the wildcats away in the cup and then have and Glasgow rival come to Glasgow green in Hillhead on Sunday. Kelburne were heading into this game in great form with 5/5 wins and only conceding one goal. Watsonians had a good run going themselves, being unbeaten in the first 5 games of their new season. Kelburne didn't make easy for themselves having a few key players unavailable but kelburne always have the ability within their squads with the depth they have available to them to get a result. The game started very evenly with the newly promoted champions getting on the end of some of the bigger chances. Hitting the post with a deflection and making young keeper Fergus Barrows make some great saves to keep it 0-0. After the first 20 mins had past that's when kelburne started to get chances of their own. Winning several short corners due to great work in the D by Andrew Duff, JG Shepherd and young Ross Wallace, though could not convert any of them despite strikes from Fraser Hutchison, Matt Mcginlay and Michael Nicol. All couldn't get it past the keeper in goals. Just before half time the game had its first twist of the match which seen A.Duff seeing yellow for an off the ball incident of violent conduct which had him sitting at the side for 10 mins. This saw out the last 4 mins of the half. Kelburne were now searching for a goal to desperately get them back into this game, with several chances falling there way again to A.Duff, Ross Wallace and Matt Mcginlay. None of which could be converted into a goal for the home team. With all this pressing up the pitch searching for a goal the defence got caught on the break and the away were able to add a third goal to the score line 0-3. This hugely killed off the game and watsonians were able to see the remaining minutes of the game out. This was a major shock to the system for kelburne as this is their first defeat in 2 years. Next week they have to bounce back and believe they will do so with a cup game at home on sat and then back to league action away to Western Wildcats on the Sunday. The young 5XI were looking for points after two 1-0 defeats in three weeks. It started slowly and the most lively thing to happen was Lucas turning up 5 minutes late. After 4 quick short coners EK scored on 9 minutes. Kelburne thought they were back in the game almost immediately after some patient play down the left hand side. Craig Speirs thought he had scored after an Aaron primrose shot cannoned of the post and the onrushing Speirs picked up the ball and nutmegged the keeper, however the EK umpire ruling it hit the wheels of the goals. Kelburne kept the pressure high and should have scored on 17 minutes when Ciaran dived at a diagonal pass and was unlucky to see it go by the post. Kelburne received a dubious penalty stroke when Ciaran?s shot was stopped on the line by an EK foot, up stepped captain Gavin to calmly put the ball over the flailing keeper, celebrating by subbing himself off. Ciaran got his first goal after he deflected another Aaron Primrose shot into the bottom corner. Ciaran then got a second only minutes later when he beat two EK defenders with ease then slotting under the on rushing keeper. Kelburne started the second half pressing high looking for that all important next goal. Unfortunately EK scored on the break after a foul given against kelburne on 10 minutes. The young team feeling hard done by kept the pressure on relentlessly to no avail. After a few slack passes round the back EK took advantage rounding Matthew Retson in goals and equalising on 20 minutes. Kelburne kept pushing for a winner with no clear cut chances and the rest of the game a midfield battle. Special mentions go to Ciaran for his brace, Gav for his first goal for kelburne, and to Willie and Gary for great work at the back. Great performance by the boys but they should have taken all 3 points today. Man of match Gordon Robbie for a solid shift in central defence. After an emphatic 10-2 win over Dundee wanderers on the Saturday, Kelburne travelled to Edinburgh looking to continue their good run of form against big rivals Grange. 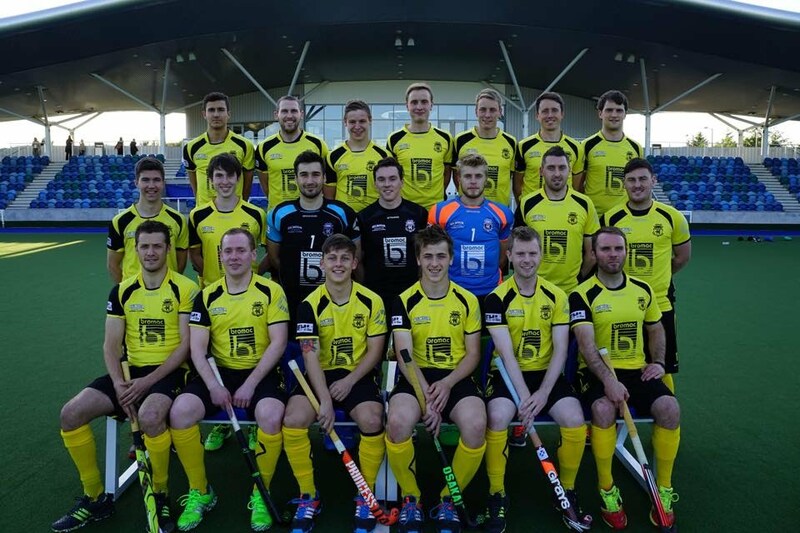 Having lost this fixture last season, along with losing the play off to Grange last year, Kelburne were out to prove that they are still the team to beat in Scottish Hockey. The game started as many would have expected- Kelburne dominating possession and dictating the play with grange being happy to sit back and look for the counter attack. It was a very quiet first ten minutes with both teams looking nervous to really commit and struggling to break the other team down. The first chance of the game fell to Grange in the shape of a penalty corner, which was comfortably saved by the Kelburne goalkeeper Ben Rennie. Moments later Kelburne managed to grab their first corner of the game after some neat play along the baseline resulted in a grange foot being found - Josh cairns putting the ball narrowly wide with a drag flick. However, minutes later Kelburne managed to win another short corner and this time cairns made no mistake, rattling the flick off the post and by a helpless Grange goalkeeper. (1-0) the rest of the first half was relevantly quiet and the half time whistle blew, Kelburne leading 1-0. The second half then continued how the game had started where it was Kelburne holding possession of the ball and grange just hoping to find that one counter attack that would bring them back level in the game. However their game plan didn't quite work and it was the paisley side who managed to extend their lead to 2 thanks to captain Jonny Chrisite. After an attack down the wing Michael Christie managed a shot at goal which was smothered by the grange goalkeeper but fell into J.Christies path, he then unleashed an unstoppable reverse into the roof of the net for his tenth of the season.(2-0). Having to now push forward to find a way back into the game, Grange had left themselves quite short at the back, and with Kelburne remaining strong at the back it wouldn't be long before they found a third. The third goal courtesy of Lee Morton, who after a short corner breakdown managed to beat two players before lofting it over the Grange goalkeeper (3-0) The game was then wrapped up shortly after, again Lee Morton with the goal after an excellent team press forced the grange defender into a 50-50 pass which Morton intercepted giving himself a 1 on 1 with the last grange defender, who he easily disposed of before slotting the ball into the bottom corner (4-0). Kelburne then saw the game out by smartly kept possession of the ball for the remaining five minutes. The game finished 4-0 to the paisley side. Travelling to face kelburne at Glasgow Green this weekend was a Dundee Wanderers team currently struggling for points and confidence finding themselves at the wrong end off the table. Having said that they are always a team that will make life difficult for you and will be doing their utmost to try and stop Kelburnes fast flowing hockey. With this being a double header weekend for Kelburne coaches Chris Nelson & Iain Schofield felt it necessary to have a full 16 player?s available to keep the squad fresh and the standard of hockey at a good level over what is to prove a testing weekend for the Paisley side. Kelburne introduced the Australian goalkeeper back to the club Ben Rennie to make his 1st start of the season. Ben is sure to be a fantastic addition to the squad this season, and it will be hard to find a better goalkeeper in the league. Also making returns were Adam Bain having been out recently with injury and he comfortably slotted back into defensive duties. Finally having played at the club for a number of years Ross McPherson fines himself back in the 1st team setup with displays in training meriting his return, a player with a wealth of experience and will certainly be a useful player to have playing in the frontline. The only noticible absentees were Josh Cairns and Ross McIntyre. Both players are likely to be back in time for the trip to the capital to face Grange tomorrow. Kelburne were keen to get off to a fast start on their home pitch but this wasn't to be the case with Wanderers the quicker of the teams out the blocks resulting in a penalty corner only 30 seconds into the start of play. This was dealt with by ease from Rennie between the sticks and over the course of the next 5 minutes kelburne began to wake up and found themselves back on the front foot. Kelburne then with a quick attack down the right hand side of the pitch, Lee Morton driving and committing players found Johnny Christie free in the D only for him to finish off the easiest of finishes after boy schoolboy goalkeeping (1-0). Johnny Christie soon made it 2-0. After a pin point pass from the Craig Morton finding Christie at the top of the circle to unleash a reverse stick shot to wrong foot the keeper. Kelburne were now up and running Lee Morton finding the net 3-0, and the dynamic forward Jack Mckenzie making it 4-0. Wanderers were to pull a goal back 4-1 before captain Johnny Christie completed his 1st half hat trick after great work from Ross McPherson to have the composure in the D to draw the keeper and slip the ball to Christie to finish. The 2nd half was to prove a 35 minutes of Kelburne creating a number of chances, that being said there were times where poor decision making crept into kelburnes play which in the coming games will have to be cut out when they face sterner opposition. Only changes at half time were on the goalkeeping front Fergus Barrows replacing Rennie between the sticks. Fergus having kept 4 clean sheets on the bounce was certainly looking to make it 5 this afternoon. The midfield 3 of Michael Christie, Chris Nelson and Iain Schofield were certainly having a major impact on the game creating chances for the forward line and mopping up where need be. 3 players who are still major contributors every Saturday will have a big say on Kelburnes fight for honours this season. Jack McKenzie was to take his goal total to 2 goals (6-1) for the afternoon after a great finish after forward Andy Bremner played him in. The dangerous young forward Lee Morton also increased his tally to 2 goals (7-1) before a well worked comer routine found Mikey Christie on the scoresheet (8-1). Johnny Christie was to step up to convert a penalty taking the skippers goals to 4 (9-1). Finally to finish of a straight forward afternoon for the Paisley side was summer recruit Gary Maitles (10-1). Gary has settled into the side well finding himself on the scoresheet the last 2 weekends now. Kelburne were to lose a sloppy goal in the closing stages of the game (10-2) a goal the team will be disappointed in conceding, but all in all a 10-2 win was pleasing and certainly gives the boys an air of confidence going into what will prove a tough test against a defensive minded Grange who are always capable of causing a upset and will be out to do so on home turf. Kelburnes next game is Sunday 18th October against Grange @ Fettes 2pm. The Paisley outfit traveled to peffermill to face their first uni team of the season. The team welcomed back Andy Bremner, Josh Cairns, Neil McIntyre and Michael Nicol. After the first few mins of the game it was apparent that the uni team were a well organised outfit, however early in the first half kelburne made the break through after winning a short corner. Drag flick specialist cairns forced a good save from the keeper down low to his left, however he was unable to save the rebound which fell to Cairns again and he calmly flicked it over the keeper. Goal number 2 from the Kelburne came from open play again Cairns was the provider. Cairns received the ball just outside the D. With some silky skills made his way into the D and fired a reverse stick shot top bag leaving the keeper no chance. Goal number 3 came again from Cairns who completed his hat trick. Another penalty corner this time Cairns firing low to the keeper?s right. Half time Edinburgh uni 2nd Xl 0-5 Kelburne Q bike Mens 2nd Xl. Half number two started much the same as the first. Kelburne with a 3/4 press and picking up any forced balls through. Goal number 4 came from......yep you guessed it Cairns again. The move started from the left side line, the vets forward Tervitt passing the ball out towards Hutchison who from there zipped a pass to the penalty spot. Bremner got a good touch which forced a save from the keeper however Cairns was lurking back post and picked up the rebound and fired home from a fairly tight angle. Kelburne final goal came from physics teacher Miles Goldie. Goldie received the ball on the left side on the edge of the D and weaved his way to the penalty spot where his sclaffed shot made its way past the keeper into the bottom right corner. Good result from the team who continue their winning run. No games next week however the team return the on the Saturday 24th for a game against newly promoted Watsonians who are also unbeaten.